We’re making some important changes to our services from May 2019 onwards, including launching a new Internet Banking site. We recently wrote to you about the changes which we’ll be making over the coming months. You can find out more details here. We’re making some important changes to the services we provide for you and your clients, including launching a new Internet Banking site and a new Intermediary Portal. On 29 March 2017, the UK Government began the formal process for the UK to exit the European Union. This followed the referendum in June 2016, when the people of the UK voted to leave the EU. We provide current, savings, currency (euro and US dollar) and fixed return accounts. We provide current, savings and fixed return accounts for businesses, as well as euro and US dollar accounts. 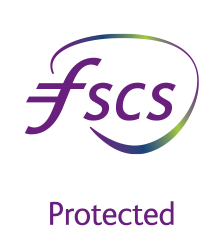 We provide cash products for Trusts, Charities, Pensions, Clubs and Associations, Executors and Personal representatives and Wrap platforms. We provide cash products, services and personal support for you and your clients. Cater Allen is delighted to have been awarded Best Financial Service Provider 2018 in the ContractorUK Reader Awards. On 4 March 2019, our Contact Centre operating hours changed.